Schell’s Brewing has been pretty busy these days. Minnesota’s oldest brewery is celebrating tradition and innovation with the announcement of their collaboration with The Current and most recently with the release of Schell’s 30th Anniversary Pilsner Series. Schell’s has long been known for making an exceptional pilsner, but this series expands on that tradition by bringing back the 1984 version and two others brewed to celebrate the occasion. The series is only sold in 12-packs and available in stores this week. It’s not everyday I get the chance to try beer before the rest of the world so this was a fun research project that I wholeheartedly embraced. I’m not going to lie, pilsners are not my style of choice. Not because I don’t like them, but because I don’t give them a chance. I seem to be a creature of habit and gravitate to hoppy beers and am also quite seasonal in my beer drinking, so consider them more of a warm weather beer. 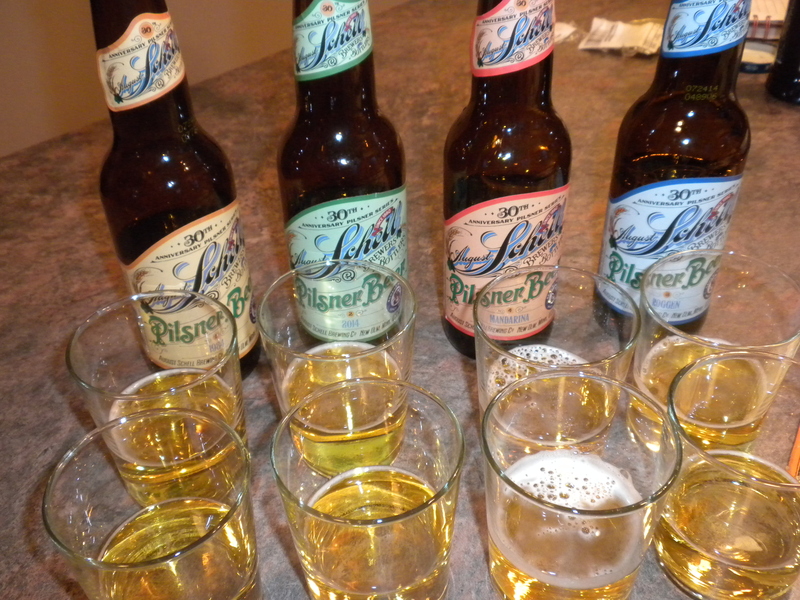 This was the perfect opportunity to give pils a chance and try what many consider to be an excellent example (if not the best American version) side-by-side with a progression of the same style. 1984 The classic recipe. Very mild in flavor, drinkable with a slight yeastiness. 2014 The current recipe. Well balanced, hop forward which mellows out. Mandarin Citrusy sweetness, yet bitter. Perfect for a summer day. Roggen More hop character, drier, and crisper than the rest. So what did I think? I loved comparing and contrasting each beer and getting a sense of all the flavors. I see what all the hype is about now. In the past I have encouraged my non-craft brew drinking friends to start with pilsners so they can progress to other styles and get in on the fun. It turns out I’m the one that has been missing out. I will definitely be partaking in more pils tasting especially since these are limited release, but am glad to know that the 2014/current version is here to stay.